A touch of nature in the more classical majolica. The decoration “Foglie di Vite” was born in Faenza towards the end of the eighteenth century as a creation by Manifattura Ferniani. 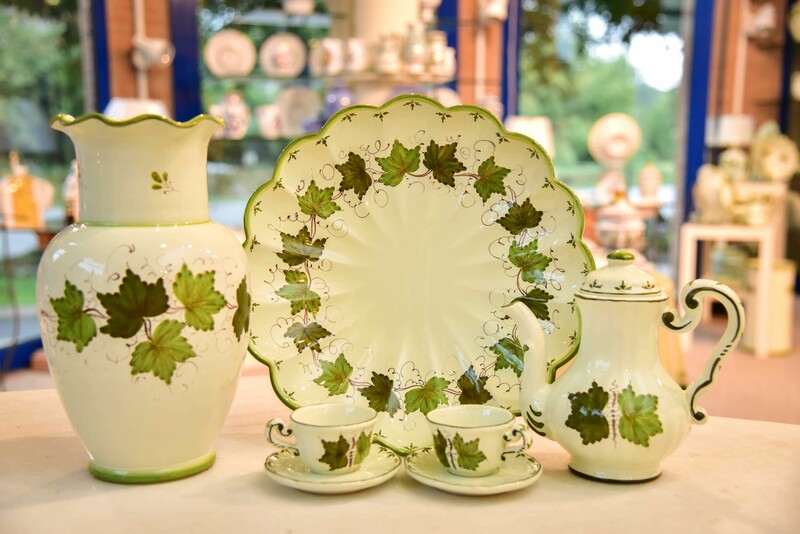 This decoration is extremely elegant and has a neo-classical touch, characterised by simple opposing and climbing leaves with touches of autumn colours from yellow to green, on soft green enamel.